Sketch of the configuration giving rise to a Casimir torque. We investigate in detail the Casimir torque induced by quantum vacuum fluctuations between two nanostructured plates. 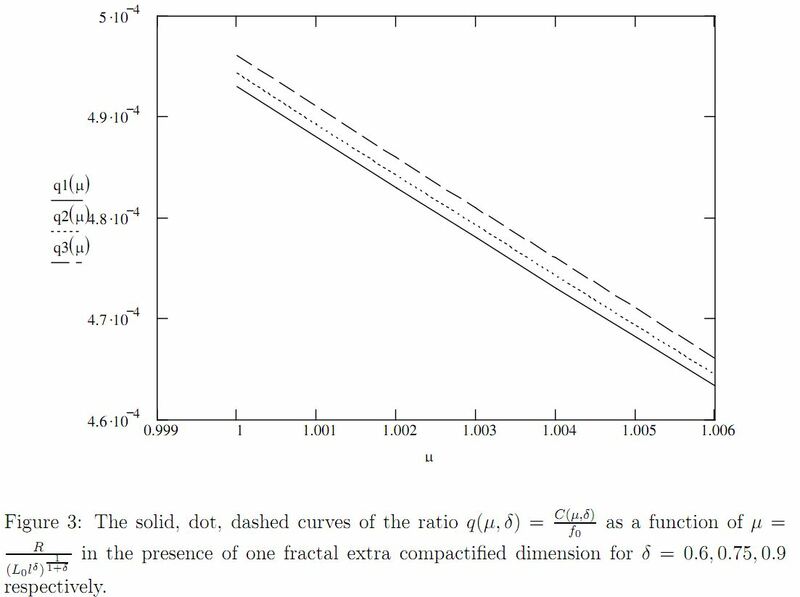 Our calculations are based on the scattering approach and take into account the coupling between different modes induced by the shape of the surface which are neglected in any sort of proximity approximation or effective medium approach. We then present an experimental setup aiming at measuring this torque. 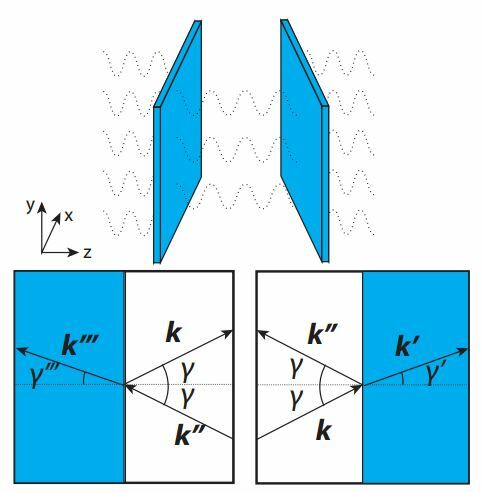 Two mirrors placed a few nanometers apart in a vacuum experience an attractive force. This so-called Casimir effect is a consequence of how the mirrors perturb fluctuations of the vacuum—a state that, because of quantum mechanics, is far from being empty and instead teems with fleeting electromagnetic waves. The electromagnetic Casimir interaction has been widely documented in experiments, but the phenomenon could, in principle, occur for any quantized field. If gravity truly has a quantum nature, then gravitational waves should also generate Casimir-like forces as they pop in and out of the vacuum. New calculations by James Quach at the University of Tokyo, Japan, suggest that a gravitational Casimir attraction might be observable, provided the two mirrors have the unusual property of being able to reflect gravitational waves. Conventional solids would be transparent to the gravitational field. But theorists have suggested that superconducting materials may behave differently: the passage of gravitational waves through a superconductor would cause Cooper pairs, which are highly delocalized quantum objects, to move in a different way than the localized crystal ions. This effect, according to a recent proposal, could turn a thin superconducting sheet into an efficient reflector for gravitational waves. Building on this idea, Quach analyzed a scheme in which two films of superconducting lead, each a few nanometers thick, were separated by several micrometers, He calculated the gravitational contribution to the Casimir force that pulls the films together and showed it could exceed the electromagnetic one by an order of magnitude. An experimental realization of his scheme could, he argues, offer a way to test quantum gravity theories and search for gravitons (the hypothetical quantum particles that mediate gravity). This is a schematic drawing of the experimental configuration used to measure the Casimir force between a gold-plated sphere and a nanonstructured grating. Credit: Ricardo Decca, Ph.D.
A research team that includes a physics professor at Indiana University-Purdue University Indianapolis (IUPUI) has recorded a drastically reduced measurement of the Casimir effect, a fundamental quantum phenomenon experienced between two neutral bodies that exist in a vacuum. For more than 60 years, scientists have studied the peculiar electromagnetic interaction between two neutral objects. The Casimir effect, a long-standing point of study in quantum physics, refers to this unavoidable physical force that exists between the objects, even when those objects are placed in an environment void of any external forces. This recent study, published online on Sept. 27 in the Nature Communications, breaks new ground in the standard measurements of the Casimir effect known to scientists. The experiment used nanostructured (micro-ridged) metallic plates to suppress the force to a much lower rate than ever recorded previously, said Ricardo Decca, Ph.D., professor of physics at IUPUI. 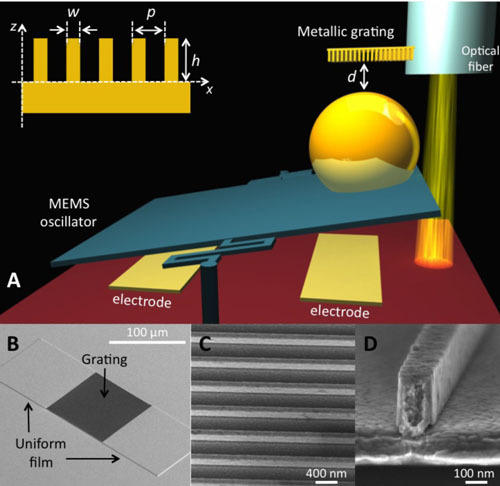 “These results build upon our expertise in the measurement of the Casimir effect. At IUPUI, we have the most precise determinations of this interaction,” said Decca, one of nine co-authors in the discovery. He also is the director of the graduate program in the Department of Physics at IUPUI and co-director of the Nanoscale Imaging Center. “Based on previous knowledge, the attraction discovered here should not have decreased as much as it did. There was still an attraction measured but not near the levels typically found,” Decca said….. The property of inertia has never been fully explained. A model for inertia (MiHsC or quantised inertia) has been suggested that assumes that 1) inertia is due to Unruh radiation and 2) this radiation is subject to a Hubble-scale Casimir effect. This model has no adjustable parameters and predicts the cosmic acceleration, and galaxy rotation without dark matter, suggesting that Unruh radiation indeed causes inertia, but the exact mechanism by which it does this has not been specified. The mechanism suggested here is that when an object accelerates, for example to the right, a dynamical (Rindler) event horizon forms to its left, reducing the Unruh radiation on that side by a Rindler-scale Casimir effect whereas the radiation on the other side is only slightly reduced by a Hubble-scale Casimir effect. This produces an imbalance in the radiation pressure on the object, and a net force that always opposes acceleration, like inertia. A formula for inertia is derived, and an experimental test is suggested. In a popular language, the possibilities of the Casimir expulsion effect are presented, which can be the basis of quantum motors. Such motors can be in the form of a special multilayer thin film with periodic and complex nanosized structures. 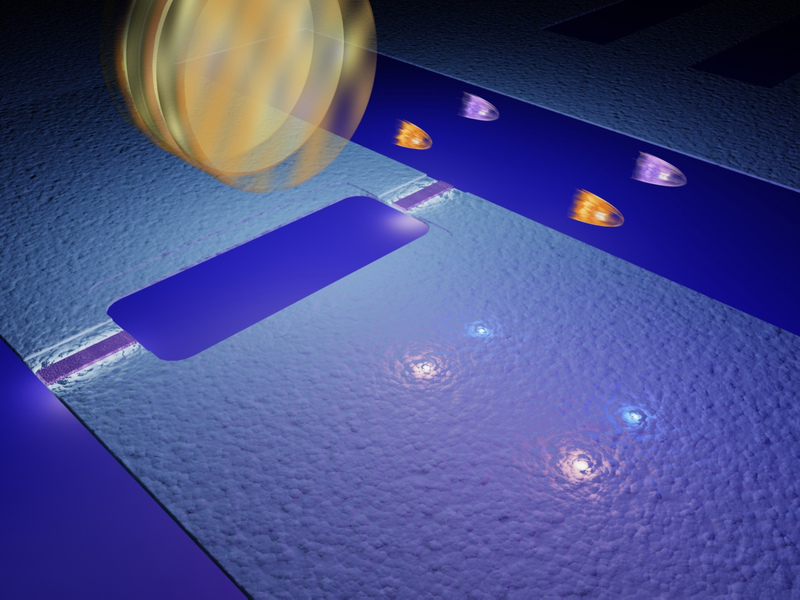 Quantum motors of the type of the Casimir platforms can be the base of transportation, energy and many other systems in the future…..
Scientists at Chalmers have succeeded in creating light from vacuum – observing an effect first predicted over 40 years ago. The results have been published in the journal Nature. In an innovative experiment, the scientists have managed to capture some of the photons that are constantly appearing and disappearing in the vacuum. One of the most surprising predictions of modern quantum theory is that the vacuum of space is not empty. In fact, quantum theory predicts that it teems with virtual particles flitting in and out of existence. Although initially a curiosity, it was quickly realized that these vacuum fluctuations had measurable consequences—for instance, producing the Lamb shift1 of atomic spectra and modifying the magnetic moment of the electron2. This type of renormalization due to vacuum fluctuations is now central to our understanding of nature. However, these effects provide indirect evidence for the existence of vacuum fluctuations. From early on, it was discussed whether it might be possible to more directly observe the virtual particles that compose the quantum vacuum. 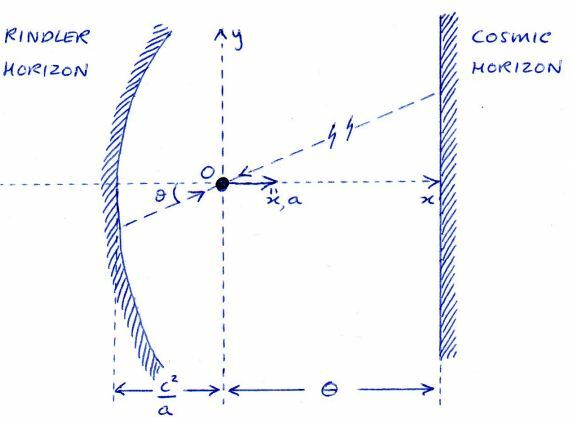 Forty years ago, it was suggested3 that a mirror undergoing relativistic motion could convert virtual photons into directly observable real photons. The phenomenon, later termed the dynamical Casimir effect4, 5, has not been demonstrated previously. Here we observe the dynamical Casimir effect in a superconducting circuit consisting of a coplanar transmission line with a tunable electrical length. The rate of change of the electrical length can be made very fast (a substantial fraction of the speed of light) by modulating the inductance of a superconducting quantum interference device at high frequencies (>10 gigahertz). In addition to observing the creation of real photons, we detect two-mode squeezing in the emitted radiation, which is a signature of the quantum character of the generation process. Back in the 1920s, Theodor Kaluza and Oskar Klein developed an idea that unified Maxwell’s theory of electromagnetism with Einstein’s theory of relativity. That was an impressive feat but it had one small drawback. In the Kaluza-Klein model, the universe has 5 dimensions.